Emirate airline was launched by a particular loyal family of Dubai, back in the year 1985. The Airline is one part of the Emirate Group, which is owned by the Dubai Government. The Emirate airline started its operations with the flights to locations such as Mumbai and Karachi, which were followed by travel to Delhi in September 1985. A single Boeing 737-300 and Airbus A300 were leased form the Pakistan International Airline (PIA), and most of the PIA employees were also hired at the same time by the Emirates. Accordingly, two Boeing 727-200 Advanced was acquired from the Royal Flight of UAE. Those aircraft were purposely applied until the Emirate started taking their delivery of a fleet of the newly advanced Airbus A300-600R as well as the Airbus A3100-300 wide-body aircraft. According to the international Airport Association (IATA), it is indicated that back in 2006, Emirate Airline was ranked one of the best among the top ten best airlines in the world. On the 2005/2006 financial year, Emirates Airline carried approximately one million tonnes of cargo and 14.5 million passengers. It has been placed on the par with the Singapore Airlines since both the two of them do not have the lucrative domestic routes and all the flights and travels from Dubai, which is the headquarter of Emirates, are international flights. The head of Emirates, Maurine Flanagan, started the Emirates Airline back in the year 1985, with the two leased aircraft and some ex-workers from PIA. The Government of Dubai gave Flanagan about $1.8 million to cater for the start up cost. Over the duration of the past thirty years, His Highness Sheikh Ahmed Bin Saeed Al Maktoum has been at the first place of the Dubai’s remarkable economic development and growth, spearheading the successful expansion of this aviation sector. More recently, he formulated economic, fiscal and investment policies as well as strategies toward the support of the Emirates overarching vision. “A stable and strong leadership team, ambitious yet calculated decision making and ground breaking ideas all contribute to the development of great companies.” In fact, these have played a significant role in the establishment and growth of Emirates Airlines, and it’s clear that business ethics, as well as customer focus, are the core foundations in which the overall success of the airlines have been developed. Strong brand awareness via sponsorship on games and sports, caring for their workers and stakeholders, and communities together with the environment served by Emirates Airlines, have also played a significant part since it was launched and will continue to signify success of its future (Nataraja, and Al-Aali, 2011). Competitive advantages, that are gained from the external changes, are typically triggered through the innovations. These innovations do not only establish the competitive advantages, but are also necessary for destroying rivals competitive advantages (CAPA., 2015). Emirate Airline was recently named one of the fastest growing airlines and of course, the 5th most profitable airline all over the world. In this section, I will cover the Macro-Environmental Analysis (PESTEL Model), Industry Analysis (The Porter’s Five Forces of Competition Model), and the Opportunities and Threats (Partial SWOT Analysis). International Airlines that operate their flights all over the six continents are entirely exposed to the global political growths (Reuters UK, 2014). The developing global security considerations, as well as the recent terror attacks conducted in Europe and other other nations in the world, can significantly reduce the overall demand for air travel. The Emirate Airline run its flights to many of the emerging countries of the world such as Iraq, Africa, and South-East Asia regions. These areas have currently stable political and government environments. However, any legislative adjustment or disruption and security considerations in these areas might halt the demand for their flights (Dudley, 2016). According to the administration of Trump, the travel ban on particular Muslim country citizens is forecast to reduce the airline services of the Middle Eastern, which load factors on the most flights to the United States (The Washington Times, 2017). The Emirates Airline is an international air travel service and the revenues are collected in the multiple currencies. Therefore, any sudden fluctuation in the rates of currency exchange and also, the changes in the world macro-economic conditions may result to the overall revenue fluctuation (Parasie, 2016). The United Arabs Emirates economy’s development and growth have been one of the top economy that is fueled by the oil industry of the nation. However, according to the recent research, the current investment in other sectors including commerce and trade, which attempt to make the United Arabs Emirate an attractive destination for most investors to start their businesses indirectly benefiting the Emirates Airline in the area (U.S Department of State. 2015). This is through the improved travel demands (Malek, 2016). Furthermore, the reducing costs of oil is also considered to be the positive development for the Emirates Airline. On the other hand, it also reduces the entire demand for the premium travel to some regions such as Dubai and the Gulf Region (Kamel, 2017). The dramatic increase in the global population is a crucial factor when it comes to shaping the demand for air travel (Forbes, 2016). In fact, one of the most lucrative segment for travel is now the baby boomers, which has reached the top of the career ladders and of course, responsible for engaging in the regular business travels. However, an increasingly essential generation, Millennials, are coming up with an insatiable appetite and demand to air travel (Cederholm, 2014). Therefore, the Millennial travelers are accompanied by diverse expectations from the predecessor generations. The previous population had a high reliance on the preferences and advanced technology for convenience at the most affordable rate in the market (Cederholm, 2014). In this case, particularly in the emerging or developing regions of the world, the disposable income of the middle class is increasing, which is a factor that is responsible for attaching the valuable business potential, mainly for the Emirates Airlines to demonstrate the opportunities in those markets (IATA, 2014). The overall application of the digital technology in air travel, with the primary aim of improving the performance, increase the efficiency of the journey, and of course, accurately predict the expectations of the customers in the most competitive Airline Industry is essential (Accenture, 2016). There is an increase in the demand from the client’s side to embrace the utilization of advanced technology, especially in personalizing and managing the itineraries, through the mobile apps. The market demand is high mainly if the Millennial travelers are considered as the factor that has the duty of carrying the entire opportunity for the Emirates Airlines to precisely personalize and customize their services to the existing customer’s preferences and needs (Accenture, 2016). The main advancements in the aviation technology that is affecting the fuel efficiency aren’t expected. However, the Emirates Airlines, as well as other aircraft, manufactures remain under a firm pressure toward the utilization of all the available technology, with the aim of reducing their overall fuel consumption (Phys.org, 2017). The Airline Sector is responsible for about 12 percent of the total emission of carbon by the aircraft, in the transportation industry (ATAG, 2016). According to the research conducted by Upham, (2015), the increase in adverse weather conditions such as Hurricanes, snow storms, extremely high temperatures, among others might significantly affect the Emirates Airline operation. The company’s flight operations could be disrupted both in the middle east and in other nations of the world. The phenomenal development of the Gulf carriers, which includes the Etihad, Emirates and Qatar Airways, periodically incentivized the American and European competing companies. The primary purposes of this is to make various attempts toward limiting the access to the Gulf Carriers, to their respective home markets. This is achieved through the protectionist policies and rules enacted and implemented, although few people on the involved airlines may openly admit that this accusations for the alleged subsidies as well as the lobbying to renegotiate Open Sky Agreements, together with the Gulf Airline services are done as part of the protectionism policies (Flottau, 2015). The Middle East traffic of airlines on America and Europe routes have significantly developed in the past few years, which is attributed by the agreements to liberalize the entire air travel markets (Parker, 2013). According to a research conducted by Reuters, (2017), the recent restrictions for travel that applies to the citizens from some selections of High-Risk Countries to the United States is supposed to address the security concerns. However, it is clear that this is one part of legal covert which the American and European Legacy airlines are applying to strictly restrict the Emirates Airline and other Middle Eastern Airlines to access their market. Brand Name and Customer Loyalty: Most of the existing airline companies have already established and built a strong and excellent position in the current market, a strategy that assists them to compete against the threats of new entrants. Therefore, depending on their long-time experience in the market, their existing companies’ experience curve is high. For instance, American Airlines. Typically, the alliances that lie between the essential airline companies make the entry on the sector hard for any new company that offers the same service. Suppliers have a significant effect on any industry through their capabilities to increase the prices and of course, to reduce the entire quality of the purchased services and goods. The airline industry comprises of few suppliers all over the world. They include the Airbus and Boeing. Therefore, the bargaining power of the suppliers is very high, since those who are limited suppliers have the control over the market due to the tremendous demand for their products. The buyers of manufactured products typically affect the sector through their abilities to reduce the costs, bargain in order to get high-quality or more services. Therefore, the power of the purchasers in this industry is powerful. This is because there are many passengers, over 1.8 Billion Annually. The attempts to have many buyers on the airline services makes the switching costs to be low, and passengers or customers have many options in the market (ITAT). Furthermore, the advanced technology of e-ticketing provided customers with the chances and flexibility to search for a lot of airline services companies, which offer better as well as cheaper costs and services. Moreover, this concept eases the entire operation of switching between various airline businesses. Therefore, most companies providing the airline services give the air miles systems to have the attention of customers and also, to retain them. The risks that are posed by the substitutes differ, mainly from one region to the other and the international airlines. In cases of the regional airline services, this threat may be higher as many people can drive their personal vehicles or just use railroads as a way to travel within the same region. However, on the international level, most people typically use airplanes to move more comfortable and faster. For instance, in Europe, they are using trains to travel from one country to the other. In fact, it is easy to move using passengers from the United Kingdom to France, due to the Eurostar Train, which spends about 1 hour 40 minutes (London to France). However, in many nations, railroads, and trains are not available, such as in the United Arabs Emirates. Accordingly, such carriers do not have a potent threat to the airline sector, because they aren’t used for long distances journey by many nations. In the Airline Sector, the competition is significantly high, especially between the companies, since there exists a variety of airline companies, which offers the best aircraft as well as services to their esteemed customers. 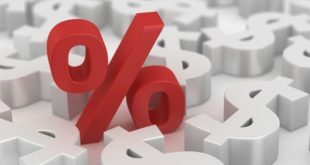 For example, most businesses try as much as possible to expand their market shares through providing perfect prices, customer services, and some exclusive promotions. Also, expansion of the market by airline company can be done by being creative in their campaign of advertising. All these Porter’s Five Forces of Competition favors the Airline Industry. Therefore, it is crystal clear to conclude that this sector is profitable, having less competition and threats for any new entrant company or substitutes. The strategy of Emirate Airline to focus on the premium travel section have been proven by economist to be one of the most successful decision. However, some adjustments in its business environment like rising competition form the long-haul low-cost airline’s services are suitable for the expectation of Millennial travelers and of course builds substantial opportunities. By because this company has never suffered any shortage of resources to develop, the attempt of launching a subsidiary airline that is cost-effective or a low-cost business model may be an incredible opportunity that worth exploring. In fact, Emirates Airline can expand under its fifth freedom rights in the United Kingdom, mainly linking the European cities with several destinations, which are currently under-served by the local airline services. This will enable the company to develop some small hubs outside Dubai as well as deploy modern aircraft (ArabianBusiness.com., 2016). 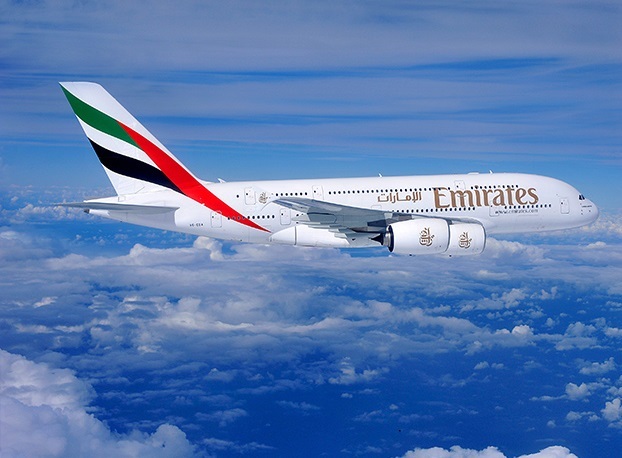 Emirates Airline is currently operating two flights pairs under the freedom (Athens-Newark & Milan-New York). On the other hand, exploring different regions’ route pairs, with a primary purpose of exploiting the Fifth Freedom Rights may be an excellent opportunity to use a significant amount of aircraft, primarily to be delivered to the Emirates Airline in the next five years. According to research on the past years, Emirates Airline has never enjoyed any favorable relationship with the American and European Airlines. In fact, the airline companies in this countries accuse Emirates Airline of attaining the government subsidies, which in turn provide Emirates with an unfavorable competition benefit. These are illegal practices in Europe and America (Flightglobal.com, 2014). In cases where the lobbying activities of the airline will be successful, the Emirates Airline will have to face the strict restrictions on its North American and European routes. Also, while the United Arabs Emirates is by no means a region frequented by the extremist terrorist groups, Emirates Airline Company serves many nations, which have been marked as potential threats to security concerns by the administration of Trump (Alkhalisi, 2017). According to the new security rules and procedures such as the travel ban, which was implemented for the United States, whether or not it was a security measure or political is debated, but the adverse effects are apparent for the Emirate Airline (Alkhalisi, 2017). Furthermore, Emirates Airline is highly threatened by the introduction of long-haul low-cost airline services including the Norwegian Air, Wow Air, and AirAsia X, which are meant to increase the overall competition rate on the long-haul routes (Fehrm, 2016). By now, it’s the Asian nations where the long-haul low-cost airline services are enjoying a rapid development and growth. However, the European full-service airline’s companies have been interrogating the feasibility of establishing a low-cost long-haul subsidiary, which will benefit from the massive potential market (Fehrm, 2016). -Allegations of Emirates Airline on obtaining the government subsidies, which provide Emirates with an unfavorable competition benefit. The Internal Analysis of weaknesses and strengths involves all the internal factors that give the Emirates Airline Company certain advantages as well as demerits in meeting the entire requirements of its target market. Here, strengths denote the core competencies that provide the company with some benefits in achieving these conditions. On the other hand, weaknesses typically refer to any disadvantages or limitations the Emirates Airline Company faces, especially in establishing or implementing particular strategies. Porter (1985) identified the primary value making processes of a company, mainly when offering any product or service as inbound logistics, outbound logistics, operations, services, marketing, and sales. The core concept or intention of the value chain is that in any action taken by the company, it is supposed to add value or think about outsourcing it to another business which can do it in the same manner or add more value compared to the first company. Reasonable advantages can be gained through the inbound logistics of Emirates Airlines by developing great relations with its suppliers, specialized training, and advanced stock control systems (The Washington Times. 2017). In this case, Emirates Airline has expert engineers, cabin crew, flight deck crew, personnel, Airline maintenance, aircraft controllers. Also, it has enough airlines as well as pilots and can maintain the time of flight accurately. Emirates Airlines has gathered all its aircraft plus other required tools and equipment in fastest possible time. It offers several emergency customer services. The company has the capabilities of keeping the supervision of their business through reporting, settlement, EDI, and audit. Emirates Airline picks their clients appropriately and maintains their flight schedules. Emirates Airlines have been providing excellent services through the utilization of various Airline types. The leading airline, Dubai International Airport, has the private Emirates Terminal 3. Emirates Airline operates multiple fleets of Boeing and Airbus Aircraft and has been ranked as one of the rare Airlines to utilize all-wide-body airplanes. The company provides the long-haul flight services at a low cost. Emirates Airlines also plans to raise its long-haul flight services in diverse international destinations. Emirates Airline implements the strategy of vertical integration into its primary business arrangement. This has been achieved through marketing, production and technology and the company has already diversified its entire investment into different airport services and the improvement of infrastructure within its operating regions. The company is developing its services daily by satisfying the customer’s desires and needs. The brand name and image of Emirates Airline is handled by most skilled professionals, who are experienced in the management of brand (Economist.com. 2017). Emirates Airline consists of three types of First Class Chairs, that is, the horizontal bed “Sky Cruiser” seat, the full suite with doors, and “Sleeper” seats. The company functions directly through check-in resorts and hotels, Emirates Aviation College, Emirates Sky Cargo, Emirates Engineering Center, Emirates Catering, Maintenance, and Training, which incorporates the business support to make special services for their customers. These primary activities of the business produced a smooth operation for the Emirates Airlines’ success and became the pioneer airline service to offer some personal entertainment system on the commercial airplanes after providing the initial Seatback Commercial Monitor of the world in 1992. All the three classes offer in-flight entertainment system and self-service cabins on Emirates Airlines. The Emirates’ infrastructure is attained from the vertical integration arrangement. In this case, each organization or business under the Emirates group has the responsibility of establishing or producing a market specific function or services. This enhances the overall Emirates Airlines Services. Other support systems for the firm’s infrastructure include the partnership with the government and the developed tax-free environment. The Emirates Airline Company is one of the famous employers in its home region, having over 62, 000 workers currently. The process of recruitment is done via campus placements, specifically from their institute, Emirate Aviation College. Here, students have trained the specific subjects of the aviation industry, an attempt that shapes them in a manner that they will become the future workers of Emirates. The company also consider its employees as the core values and provides a myriad of advantages, regarding the non-cash and cash components to its workers. Furthermore, they have a program for rewards, which enhances the overall performance of their staffs (Emirates Group, n.d.). The Emirates Airline houses its technology research center. The Technology Centre make sure that the company has the latest and advanced technology onboard. One of its most recent accomplishment in the technology development field is allowing the use of Wi-fi and mobile phones onboard. The Emirate Airline procures its resources from various sources outside and within the Emirates Group. In fact, the fleet of their airlines is obtained via the top airline manufacturers, Boeing and Airbus. Technical assistance that is required to the company is offered by the Emirates Engineering, while the Emirates Flight Catering provides the catering services needed in flight. Strategic capabilities mean that the skills used in business have the abilities to accomplish the steps for the surveillance in the entire market. It may be divided into two parts; Competencies and Resources. Emirates has its threshold resources which include the office equipment, flight, financial resources, headquarter, and workers. The company also has the core resources in the form of active management team including the CEO/chairman, Ahmed Bin Saeed Makhtoum. Similar to resources, Emirates Airlines consists of threshold competencies which include the operation of on-time delivery, online booking, and point-to-point routing. The core competencies of this company are the IT development, no frill strategy, and the route policy strategy. It is possible to differentiate various Airline Companies through providing the modern and latest services such as the big comfortable seats, new e-ticketing system, and advanced aircraft. All these not only distinguish the airline companies but are also useful when it comes to attracting new customers to the firm. Emirates Airline uses many other strategies and plans to develop their businesses which include the strategy for development and motivation of their workers. Such approach assists the company to become the leading Airline Company all over the world. Emirates is differentiated from other airline companies by being the legacy airline where advanced technology, ancillary services, and staff skills are the core drivers of the success. Also, it is popular with the strong brand name, Alliances, and relationship with suppliers. Some of the distinctive resources include the development of its image and brand within the last two decades. The Airline company is also aware of the need for continuous innovations, not only in the fleet and employee expansion but also in the premium services. 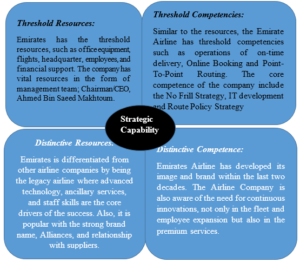 While using the Jay Barney’s VRIO Framework, it is possible to understand better the competitive advantage of Emirate Airlines as well as the reasons that are behind its success (Australia., 2016). The Emirates Airlines has concrete and valuable human resources and well-experienced employees. The airline’s vice-chairman has more than 50 years of experience in the sector. The Airlines also provides excellent training to its workers, and it’s keen in the improvement of their overall skill, regardless of the expenses. It is the leading international carrier of Dubai, with a politically stable region and has a strategic location, mainly for transit passengers. The human capital, as well as the airline, plays a significant role in assisting the company to exploit the opportunities available and eliminate any threats (Australia., 2016). Personally, I would consider the Dubai’s strategic location as rare resources that typically offer the company with an incredible demand for its service. 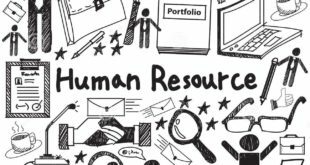 Labor or human capital is also a limited resource. For instance, Sheikh Ahmed is both a rare and valuable resources. His image has an excellent contribution towards the success of the airline. The strategic location of Dubai is a great resource that can never be imitated easily. This is because Dubai acts as the Business Capital of the Middle East. The partnership and collaboration of all the branches of Emirates Airline have achieved most of the cost-cutting and raised the efficiency of the service. The management of this company as well as the policies of the compensation worth mentioning as a key to its success. In the assessment of the Emirates’ internal factors, it is clear that competitive advantage is the core to the success of this company. The competitive advantages are the position that the company’s signature occupies, especially against its rivals. Some of the resources that are highly contributing toward the sustainable competitive advantages of Emirates Airline include the strategic location of the headquarter, office equipment, and financial resources. 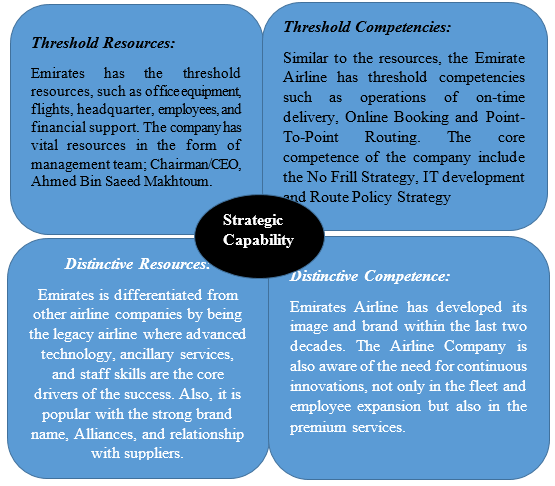 Accordingly, competencies such as No Frill Strategy, IT development and Route Policy Strategy are contributing to the competitive advantages of the Emirates Airline (Malek, 2016). The aviation education, which is the airline’s arm of the business, is a crucial and fundamental strategy to the success of the company. It continually adds and keeps the essential aviation talents within their employment and of course, builds a large footprint as Emirates trains other people within the sector. This brand and image realization generated from the business segment renders it a valuable strategy. The Emirates Airlines company have leveraged the international airline domain knowledge into another core profit center. This involves the development of software for the airline industry. The fundamental strategy of utilizing their trained and knowledge programmers, with the aim of establishing an Information Technology development company for the entire International Airline Industry is an incredible addition to the portfolio of the Emirates business strategies. Emirates Airlines has benefited from the strategic alliance with Qantas, which has assisted in spurring tourism in Dubai, primarily through the partnership. More than 250, 000 Australian who visited Dubai this year, reflect the coverage and convergence of both networks of the airline. The Three Generic Strategies, which were identified by Michael Porter, include the differentiation, cost leadership, and focus. These are all the options which are available for small businesses. Cost leadership needs a tight set of interrelated tactics that involve the aggressive construction of efficient-scale facilities, fixed costs and overhead control, vigorous pursuit of cost reductions from experience, avoidance of marginal customer accounts, and the cost minimization in every activity in the firm’s value chain. 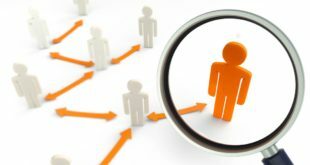 On the other hand, differentiation is the strategy of differentiation that comprises of developing a difference in the products or services of the company by building something that that is unique all over the sector and valued by the consumers. Focus depends on the preference or choice of narrow competitive scope within the industry (Upham, 2015). Emirates Airline adopts the distinction as one of the three generic strategies to achieve the best out of the competition and gains competitive advantages amongst its competitors by providing high-quality services to their customers. This makes Emirates Airlines be the best Air Travel Company all over the market and differentiates from its competitors. For instance, Emirates was the first airline across the globe to provide TV screen for all the classes of Aircraft. Also, it was the first airline company in the Middle East to serve the e-ticketing. In addition to the gained competitive advantage through differentiation, Emirates Airlines have achieved the same strength by focusing on new market segments. For instance, it provided another Air Travel Company like Qatar Airways, with outstanding training courses, specifically by utilization of modern machines, called the Plane Simulator, to be the only company all over the Middle East that provides such a service (Reuters. 2017). The primary aim of this adjustments is to be the core leaders in the entire airline sector, mainly by increasing the brand name awareness in the region as well as internationally. This will, in turn, increase the full demands and the profit margin of the company. Emirate Airline has been the cost leaders by decreasing the company’s operating costs. The lower price of fuel and gas has assisted the Emirates to lower the operating costs. Emirates Airline has a significant Cost per Seat Kilometer (CASK) advantage compared with other European legacy groups, and these include the carriers that have been hardest hit by the Gulf carrier competition (Reuters. 2017). Emirates Airline is highly threatened by the introduction of long-haul low-cost airline services including the Norwegian Air, Wow Air, and AirAsia X, which are meant to increase the overall competition rate on the long-haul routes (Fehrm, 2016). This company is also facing the challenge of price difference since many Airline Services traveling to and from Dubai offer significantly low prices. Recently, the Emirate Airline published its first full-year profit report on the decline for the five years as an erosion in the travel demands, which delivered one of the Dubai “most challenging year to date” carrier. In fact, the profit plunged 82% to $340 Million for the 2016/2017 financial year as the Emirates Airline faces severe economic as well as political headwinds after the duration of untrammeled growth. The overall global challenges, which are responsible for undermining the entire ambitious fleets, together with the airline expansions plans due to the competition on every airline for long-haul custom, have combined with the sluggish hit of the regional economy by a slump in the prices of oil. According to Emirates Airlines President, Sheikh Ahmed Bun Saeed, the airline will be hurt by the United Kingdom’s vote to exit in the EU, new US policies on air travel, terror attacks in Europe, Devaluation of Currency and the high cost of oil as well as sluggish gas industry. To get the Emirates Airline Strategic Options, The Ansoff’s Directional Matrix can be applied as a strategic point, which is responsible for identifying all the choices that are available. Any company that focuses on selling an existing service or product to any existing markets drives growth strategy for the marketing penetration. Telecommunication is fundamental in the current life, and to allow the Emirates’ passengers to make voice, as well as data, calls over their telecom systems. In this case, Emirates Airline is supposed to add communication while on the airplane, which is an incredible service to business passengers. The primary objective of Emirates Airlines is to build up Dubai into a famous aviation center, which will be serving as a central universal long-haul hub. Emirates offers an alternative to the European traditional airline hubs as Charles De Gaulle (Paris), Heathrow Airport (London) and Schiphol (Amsterdam). As Dubai is the hub for all international air travelers, this is an excellent time to improve the new services to offer to the top business executives. Emirates have many services for this group of people, and it is the reason why it introduces high-quality first-class private lounges that attract business travelers. Also, the premium class private suite is fully outfitted with personal storage, desk, individual mini bar, and coat cabinet. Emirates Airline is supposed to strictly spread from the current objectives of marketing to get the low-cost airline market share. This will also help them in retaining their client base of UAE expatriate market. It can be achieved by launching new subsidiary that will be responsible for catering at the budget of marketing. The core routes must have high demand and a massive number of expatriate’s home country such as India, Egypt, and Pakistan. 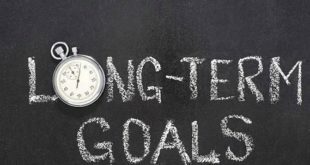 The strategy is a long-term planning that is aimed at achieving the objective of the business through the arrangements of the resources of organization within a challenging environment. It is meant to fulfill the needs of the competitive market and also, the satisfaction of the expectations of all stakeholders. Therefore, Emirates Airline has a good as well as a practical business model, helpful in gaining the company goals and assist the company to become the leader in the airline industry (Economist.com. 2017). International Airline Information Technology Development Strategy is one of the fundamental and very crucial strategies of Emirates Airline for development of its overall e-business system, self-check services and of course, maximize the company’s profit via its advancement in the Information Technology System. Emirates Airline is supposed to improve the maintenance process, efficient and effective flight schedules and perfect utilization of the company resources such as aircraft. Operation cost of Emirates Airline is very high due to massive investments in technologies, best quality customer services, and aircraft. Therefore, Emirates is required to control its price and should reduce its costs through the improvement as well as the development of operational activities. In response to the low-cost airlines in the United Arabs Emirates Markets, the company is supposed to offer an advanced level of service and control cost. In this way, there is no need to reduce the entire prices and the Emirates Airline should introduce its new brand as subsidiary which will be based on the low-cost haul. In any Airline business, the safety of the flight is imperative. Therefore, being one of the largest Airline in the World, Emirates is the most successful fleet, especially in maintaining the safety of the flight. In fact, since induction, the company did not experience any significant air travel accident, and there were no injuries or loss of life. Furthermore, the adverse impact on the marketing aspects has shut down the airlines only with the crash of an aircraft. However, the Emirates Airlines’ efficient management is successfully operating the fleet, such that it has become an exemplary airline in the aviation sector. From the perspective of analyzing the internal and external environments, it’s worth for Emirates Airlines management to identify its overall capabilities as well as the competitive advantages. It is also wise for them to assess how the competition is in the aviation sector. From this analysis, various implications require Emirates Airline to respond to some changes in the attempt of changing the context such as technological, political, and the current economic downturn. The Emirates Management is also aware of any future problem and develops new strategies accordingly, with a primary aim to retain their leadership in the aviation sector all over the world. Accenture (2016). Make Your Digital Connection: From Digital Strategy to Airline Strategy. 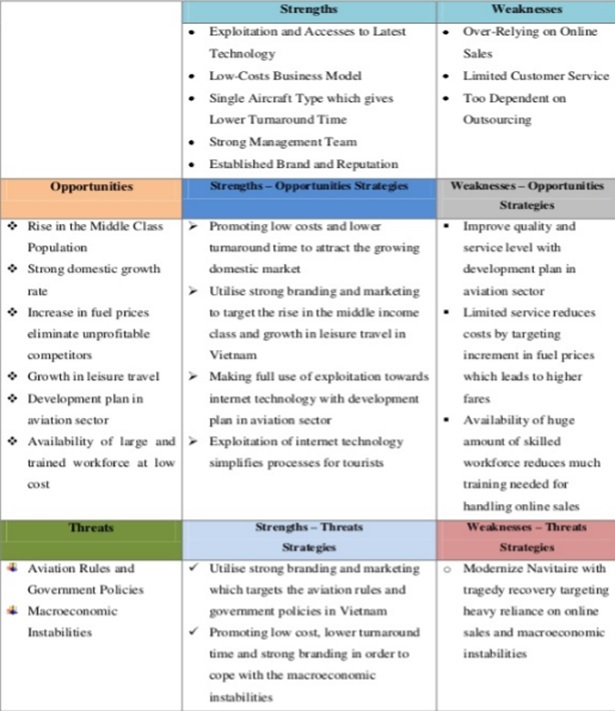 [online] Available at: https://www.accenture.com/t20160524T005913__w__/us-en/_acnmedia/PDF-16/Accenture-Make-Your-Digital-Connection-From-Digital-Strategy-to-Airline-Strategy.pdf [Accessed 27 Dec. 2017]. Alkhalisi, Z. (2017). Emirates cuts flights to U.S. as Trump’s policies hit bookings. [online] CNNMoney. Available at: http://money.cnn.com/2017/04/19/news/economy/emirates-us-flights-trump// [Accessed 27 Dec. 2017]. ArabianBusiness.com. (2016). Emirates mulls fifth freedom flights from Europe to Mexico, US. [online] Available at: http://www.arabianbusiness.com/emirates-mulls-fifth-freedom-flights-from-europe-mexico-us-631288.html [Accessed 27 Dec. 2017]. ATAG (2016). Facts & FIGURES – Air Transport Action Group (ATAG). [online] Atag.org. Available at: http://www.atag.org/facts-and-figures.html [Accessed 27 Dec. 2017]. Australia., C. L. (2016). Global Business. Cincinnati OH, Cengage Learning US. [Online] Available at: http://public.eblib.com/choice/publicfullrecord.aspx?p=4643535. [Accessed 2nd Jan. 2018]. CAPA (2015). Emirates Airline turns 30: Just as it has changed the world, now Emirates faces its own changes. [online] Available at: https://centreforaviation.com/insights/analysis/emirates-airline-turns-30-just-as-it-has-changed-the-world-now-emirates-faces-its-own-changes-245140 [Accessed 27 Dec. 2017]. Cederholm, T. (2014). Why social and demographic factors influence air travel demand – Market Realist. 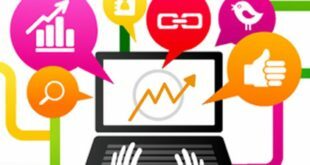 [online] Marketrealist.com. Available at: http://marketrealist.com/2014/09/why-social-and-demographic-factors-influence-air-travel-demand/ [Accessed 27 Dec. 2017]. Dudley, D. (2016). Is The Emirates Airline Growth Story At An End?. [online] Forbes.com. Available at: https://www.forbes.com/sites/dominicdudley/2016/11/11/is-the-emirates-airline-growth-story-at-an-end/#71fb9ff966d6 [Accessed 27 Dec. 2017]. Economist.com. (2017). The Middle East’s once fast-expanding airlines are coming under pressure. [online] Available at: https://www.economist.com/blogs/gulliver/2017/03/narrowing-gulf [Accessed 27 Dec. 2017]. Emirates. (2017). All Emirates flight routes | Destinations | Emirates. [online] Available at: https://www.emirates.com/english/destinations_offers/route_maps/route_map.aspx [Accessed 27 Dec. 2017]. Nataraja, S. and Al-Aali, A. (2011). Emirates Airline – 2010. [online] Available at: https://www.researchgate.net/publication/256232396_Emirates_Airline_-_2010 [Accessed 2nd Jan. 2018]. Emiratesnbd.com. (2017). Ownership Statistics, Shareholder Information, Investor Relations | Emirates NBD Bank. [online] Available at: http://www.emiratesnbd.com/en/investor-relations/shareholder-information/ownership-statistics/ [Accessed 27 Dec. 2017]. Fehrm, B. (2016). Emirates feels low-cost, long-haul competition – Leeham News and Comment. [online] Leeham News and Comment. Available at: https://leehamnews.com/2016/11/23/emirates-feels-low-cost-long-haul-competition/ [Accessed 27 Dec. 2017]. Flightglobal.com. (2014). Gulf airlines attack European protectionism. [online] Available at: https://www.flightglobal.com/news/articles/gulf-airlines-attack-european-protectionism-406308/ [Accessed 27 Dec. 2017]. Flottau, J. (2015). Protectionism Won’t Work Against New Competition. [online] Aviationweek.com. Available at: http://aviationweek.com/commercial-aviation/protectionism-won-t-work-against-new-competition [Accessed 27 Dec. 2017]. Forbes. (2016). What Are The Factors Behind Soaring Air Travel Growth?. [online] Available at: https://www.forbes.com/sites/greatspeculations/2016/08/30/what-are-the-factors-behind-soaring-air-travel-growth/#39912672258d [Accessed 27 Dec. 2017]. IATA (2014). The Rise of the Middle Class | Airlines International. [online] Available at: http://airlines.iata.org/thought-leadership/sponsored-content-the-rise-of-the-middle-class [Accessed 27 Dec. 2017]. Kamel, M. (2017). Emirates Profit Down 70% on Oil-Hit Economies, Terror Impact. [online] Bloomberg.com. Available at: https://www.bloomberg.com/news/articles/2017-05-11/emirates-profit-tumbles-70-on-low-oil-prices-terror-concerns [Accessed 27 Dec. 2017]. Malek, C. (2016). Leaders chart new strategic roadmap for the UAE after oil. [online] The National. Available at: https://www.thenational.ae/uae/leaders-chart-new-strategic-roadmap-for-the-uae-after-oil-1.193589 [Accessed 27 Dec. 2017]. Parasie, N. (2016). Emirates profit falls 75% on stronger dollar. [online] MarketWatch. Available at: http://www.marketwatch.com/story/emirates-profit-falls-75-on-stronger-dollar-2016-11-09 [Accessed 27 Dec. 2017]. Parker, A. (2013). Emirates: In a sweet spot. [online] Ft.com. Available at: https://www.ft.com/content/c274e63e-580c-11e3-82fc-00144feabdc0 [Accessed 27 Dec. 2017]. 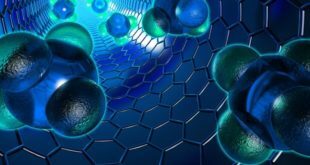 Phys.org. (2017). Designing the fuel-efficient aircraft of the future. [online] Available at: https://phys.org/news/2017-03-fuel-efficient-aircraft-future.html[Accessed 27 Dec. 2017]. Reuters UK. (2014). Emirates says airlines impacted by external threats such as Ebola. [online] Available at: http://uk.reuters.com/article/uk-emirates-airlines-results-idUKKCN0IW11K20141112 [Accessed 27 Dec. 2017]. Reuters. (2016). Air travel demand slows as airlines confront security, fragile economies. [online] Available at: http://www.reuters.com/article/airlines-iata-idUSL8N18R23U [Accessed 27 Dec. 2017]. Reuters. (2017). Laptop ban, protectionism hang over booming air travel industry. [online] Available at: http://www.reuters.com/article/us-airlines-iata-idUSKBN18T14I [Accessed 27 Dec. 2017]. The Washington Times. (2017). Emirates cuts US flights, blames Trump travel ban. [online] Available at: http://www.washingtontimes.com/news/2017/apr/19/emirates-cuts-us-flights-blames-trump-travel-ban/ [Accessed 27 Dec. 2017]. Upham, D. (2015). 4 ways climate change could ground the airline industry. [online] GreenBiz. Available at: https://www.greenbiz.com/article/4-ways-climate-change-could-ground-airline-industry [Accessed 24th Dec. 2017]. U.S Department of State. (2015). 2015 Investment Climate Statement – United Arabs Emirates. [Online]. Diplomacy In Action. Available at: https://www.state.gov/e/eb/rls/othr/ics/2015/241783.htm [Accessed 2nd Jan 2018].